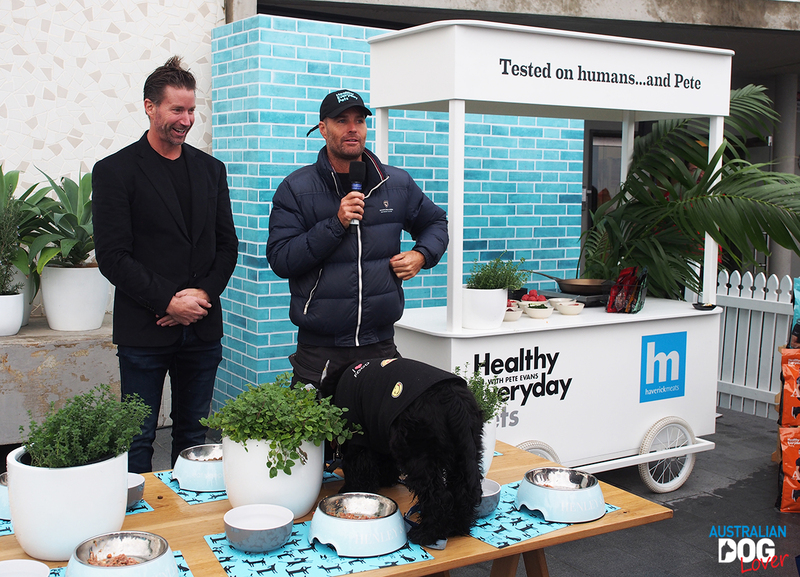 The eagerly anticipated Healthy Everyday Pets by Pete Evans dog food range was officially revealed today at a Dog’s Breakfast event in North Bondi to a select number of VIP pooches and the media. 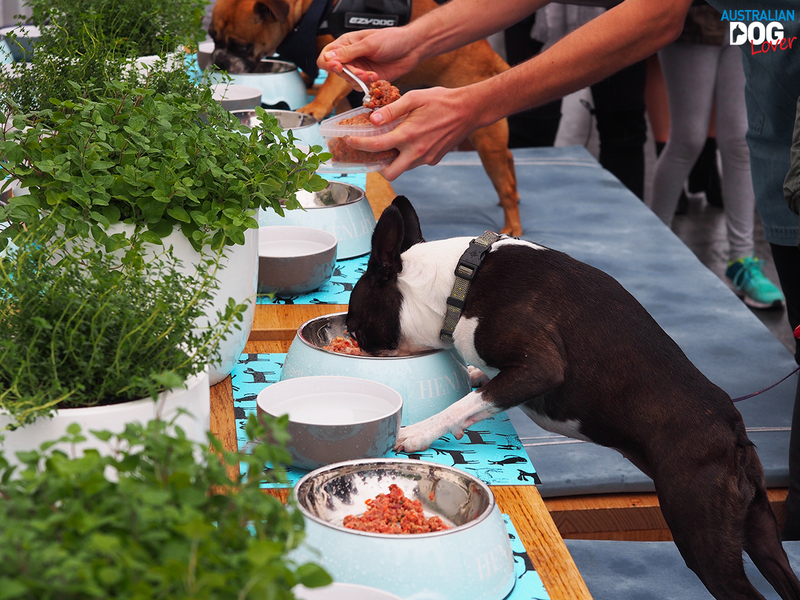 Despite the wintry conditions, many rugged up pooches were eager to show up at the North Bondi SLSC for a sit-down breakfast to sample the entire range of dry dog food, raw meals and dog treats, served to them individually by attentive waiting staff. The scene was complete with a kissing booth for photo opps, rest areas and dog toys whilst the fur parents were treated to their own delicious appetizers. On their way out, guests were treated to a gift box containing samples of all varieties of the Healthy Everyday Pets dry dog food and treats. 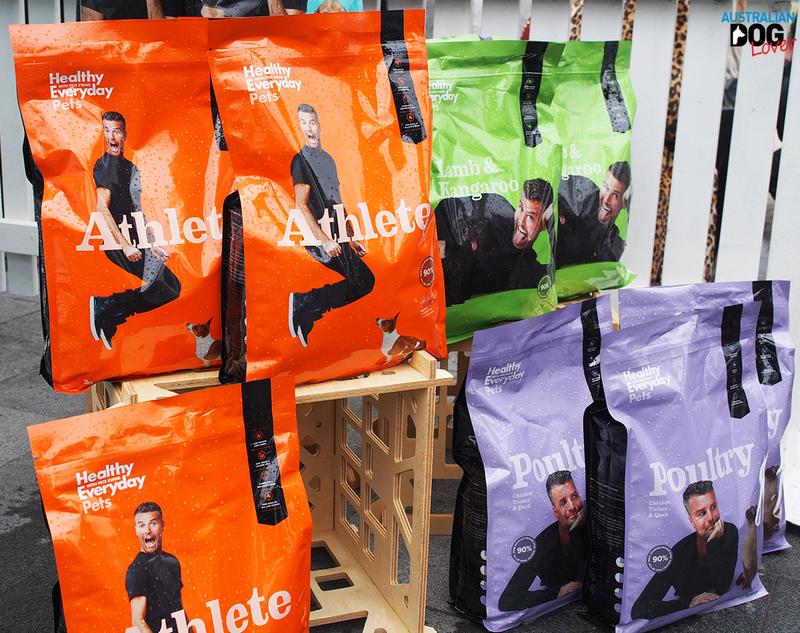 This brand is a joint collaboration between famous TV Chef Pete Evans and business partner Michael Ryan – personal trainer to Hollywood stars - and was two years in the making with the assistance of a leading pet nutritionist. 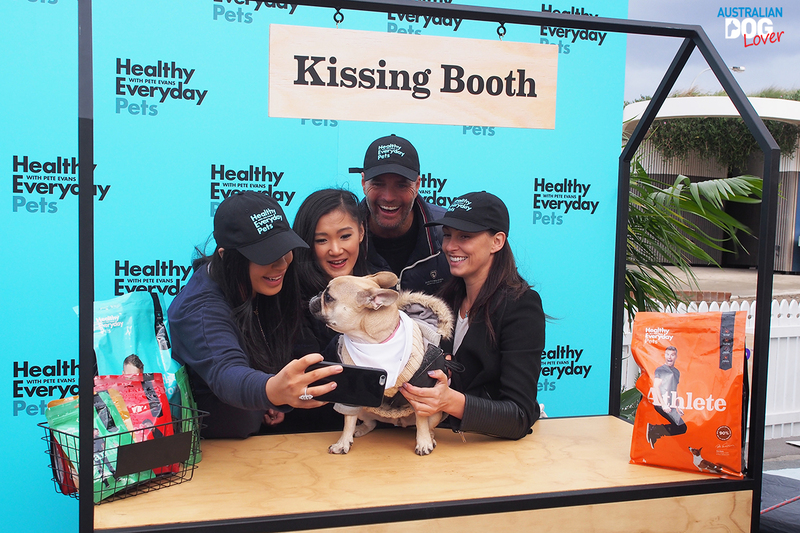 Pete Evans explained that being a pet owner himself – he’s the proud parent of Shikoba the Poodle and Anais the rescue kitty - he wanted to know that his furry family members were also enjoying real, nutritious meals and treats. 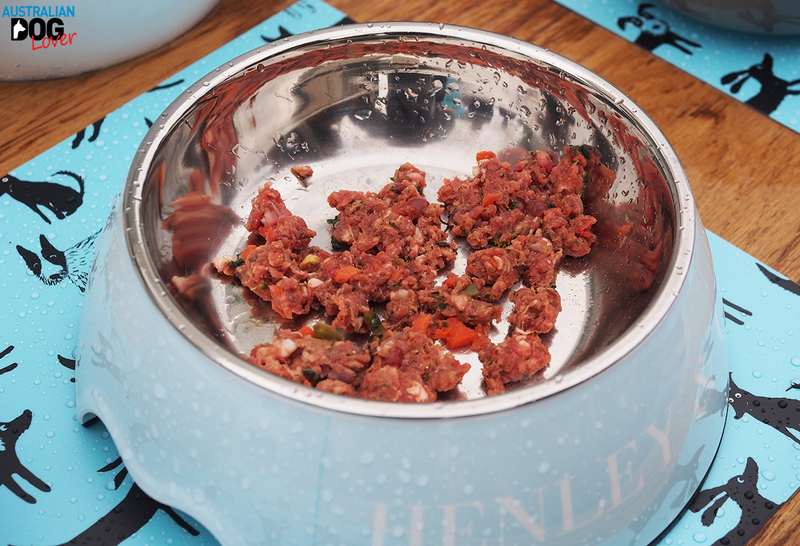 The new range offers "human-grade" low- carb pet food with the aim of bringing animals "greater health and prolonging lives". The celebrity chef says he was motivated to offer an alternative to the "dubious" products currently on shelves. "The majority of the food that's out there has basically fillers in there - carbs - and these are the types of ingredients that are super cheap to put into food, that bulk it out but basically cause inflammation in the pets that consume them," explained Pete Evans. "I'm proud to say it's of the best quality and I've tested it myself - I'm not sitting down to a bowl of it because I like to cook my own food. Evans says the new products will be "a wonderful gift" to pet lovers and will "definitely improve more than one animal's health". 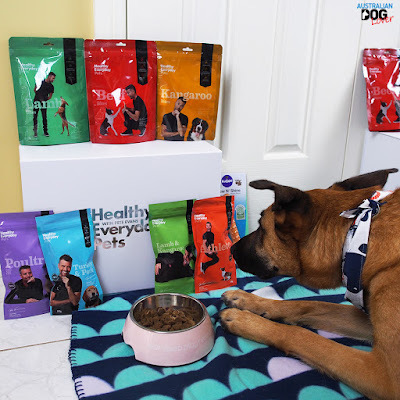 What is in the Healthy Everyday Pets by Pete Evans range? Dry Dog Food: Athlete (Chicken/Lamb), Lamb & Kangaroo, Turkey & Pork available in 3kg, 6kg or 12kg bags. Healthy Everyday Pets is an all-natural, Australian-made, grain- and soy-free food with natural nutrient-rich ingredients like kale, turmeric, green lipped mussels and a mixture of selected herbs. All fortified with Omega 3 fats from marine sources and a proprietary blend of organic minerals. The feeding guide recommends feeding between 405g per day (Athlete) and 430g per day based on a 30kg dog. Doing a quick calculation (based on a cost of $10.4/kg), feeding the Athlete formula would cost us around $12.65/day for our 3 dogs. All varieties were formulated using the guidelines set by AAFCO, the world’s leading authority on pet food nutrition. Dog Treats: Beef Bites, Lamb Bites, Kangaroo Bites (50g pack). Healthy Everyday Pets are all 100% natural, freeze-dried. Freeze drying produces a bite-sized treat that still retains all of the natural nutrients and simply eliminates the water. All these treats are low in calories and all varieties are gluten-free, lactose-free and contain a single source protein (100% beef heart or lamb heart or kangaroo liver). 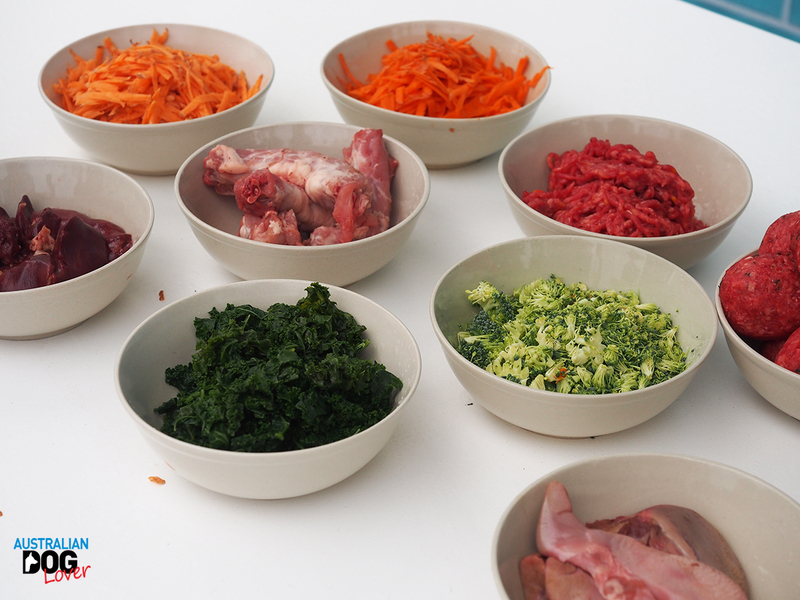 Raw Food / Patties (premium-grade meat), Beef, Chicken, Kangaroo (500g x 8 packs). All varieties list a single protein as the first ingredient with the addition of offal (liver, heart, kidney, lungs etc. ), fresh vegetables, fish oil, coconut oil, kelp powder, vitamins and minerals. The feeding guide suggests feeding 1.5kg per day (any variety) based on a 30kg dog and based on a cost of $25.90/kg, this works out at $38.85/day for one dog. This would really be something for special occasions! Pre-order, available for despatch from May 28 for the Sydney metro area only. Both the wet and dry food range use meat sourced from Haverick Meats, which supplies some of Sydney’s top eateries. RRP: $44.99-$124.99 for the dry dog food; $13.99 for dog treats; $103.60 for patties (free shipping for orders over $150).